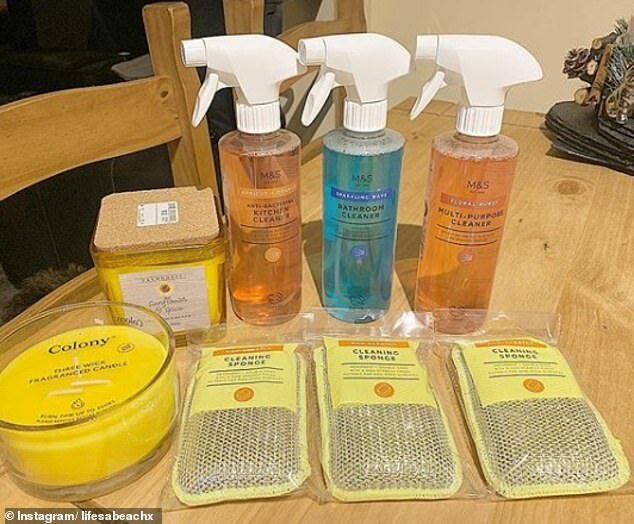 Viral cleaning sensation Mrs Hinch has attracted an army of loyal followers with her products of choice often selling out as fans scramble to get their hands on them. 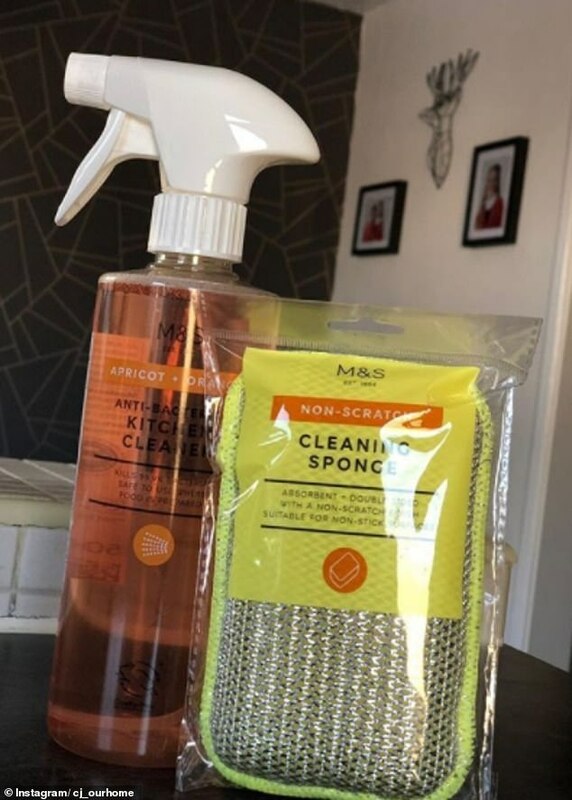 And M&S is the latest store to be hit by the ‘Hinch effect’ after the blogger shared a four minute Instagram story on its cleaning products this week. Mrs Hinch, real name Sophie Hinchcliffe, named the supermarket’s £1 Cleaning Sponge which she affectionately dubbed the ‘markeh’ as her hero product. 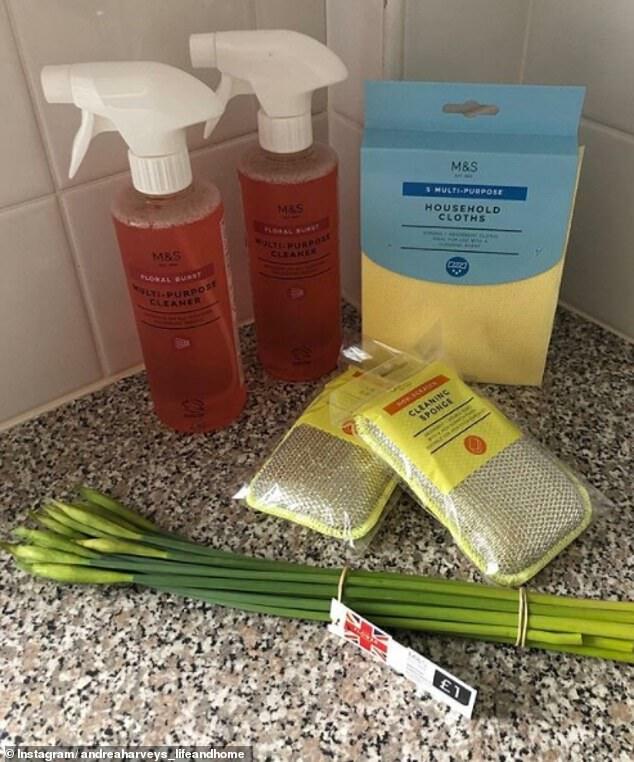 Other products given a special mention included the Apricot & Orange Kitchen Cleaner and the Floral Burst Multi-Purpose Cleaner both 90p. And it didn’t take fans to follow suit with over 400 people sharing posts about the same products using the hashtag #HinchHaul. M&S has reported that it saw a sales spike of up to 100 per cent in just one week. 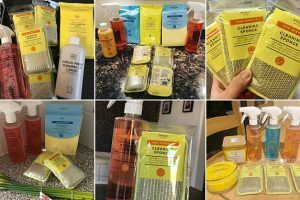 And it seems that the product is worth the hype with many social media users posting gushing reviews of the items on their own accounts. 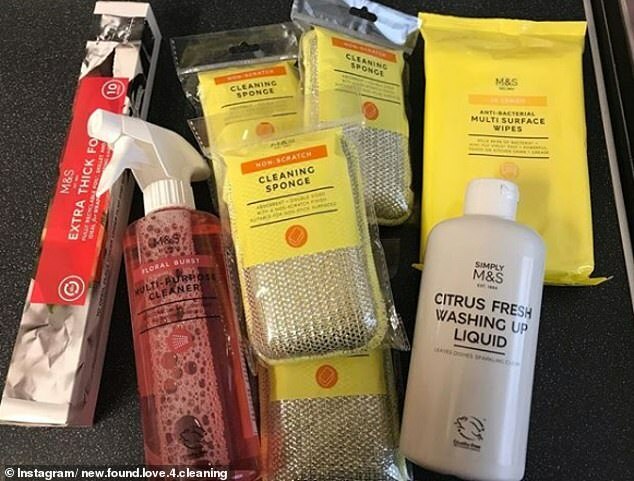 One wrote: ‘I literally love my Markeh from @marksandspencer I use him all the time in the kitchen (I use a Minkeh in my bathrooms). ‘He (Markeh) is amazing, he cleans really well, I can rub hard and not worry he will fall to pieces and he’s a good size oh and at £1 he’s a bargain. 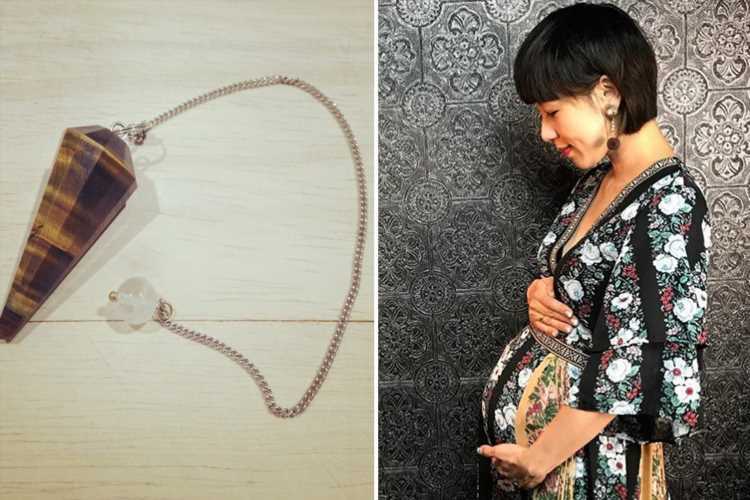 Another fan said: ‘I’ve been using my Markeh for a little while now and I’m honestly very impressed with it. This is not the first time of course that Mrs Hinch has caused a sales spike in cleaning products. 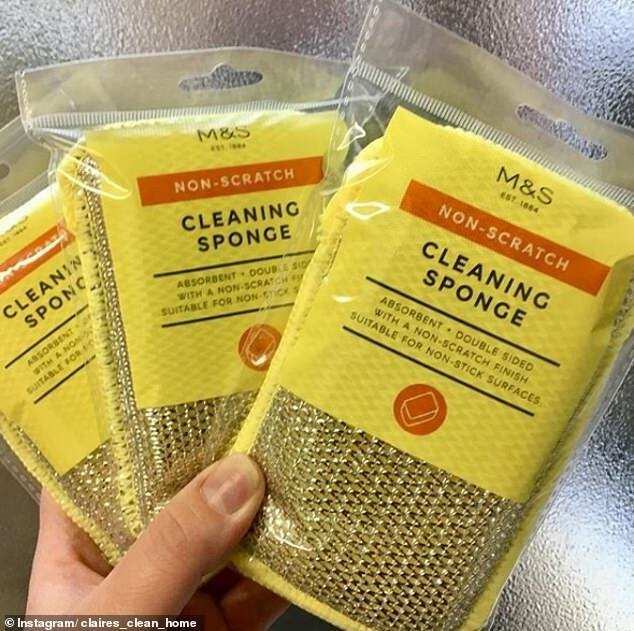 Earlier this month Morrisons announced that it would be restocking the Minky sponge, a favourite of the influencer who affectionately dubs it the ‘minkeh’. However, the supermarket decided to ration the £2.50 product so that everyone had a fair chance of getting their hands on Mrs Hinch’s favourite cleaning item allowing just two per customer. 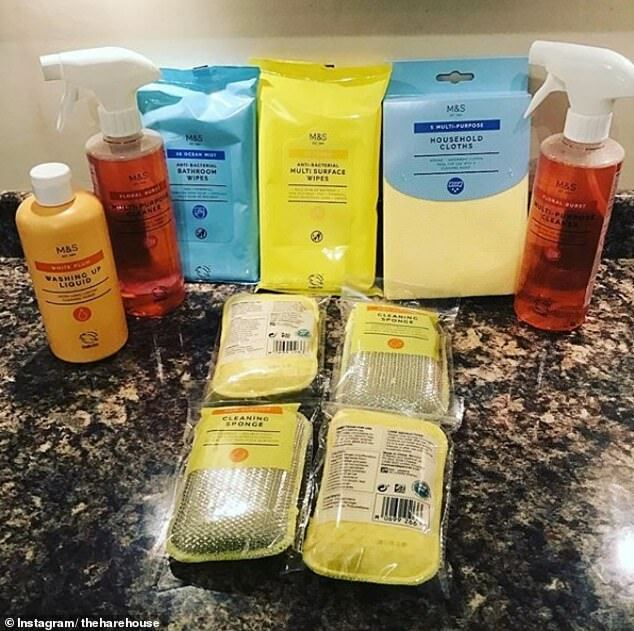 The Minky is the number one product of choice from cleaning blogger Mrs Hinch, Sophie Hinchcliffe, who rose to fame in 2018 after sharing her cleaning tips with her impressive 1.7 million Instagram followers. It is an anti-bacterial pad with high density microfibres, it has non-scratch technology and used for washing up and wiping down. 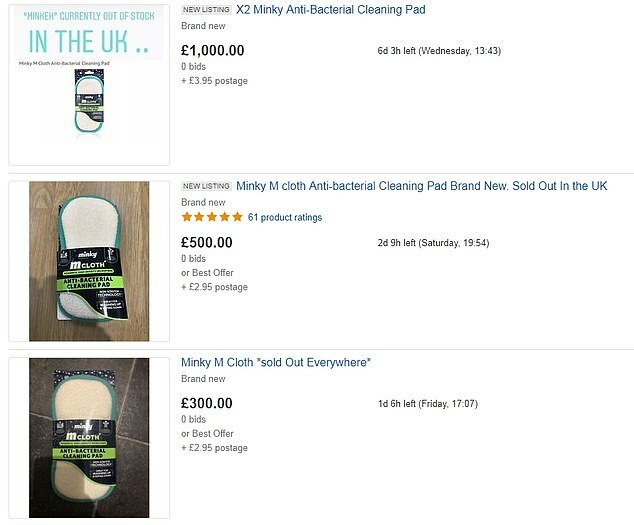 The cleaning sponge has been so sought after that they were being flogged on eBay for nearly £8,000 – over 3,000 times the retail price. Mrs Hinch, from Essex, amassed hundreds of thousands of followers by providing step-by-step instructions of cleaning tips and tricks. She had been running her account anonymously until she decided to appear on This Morning, showing her face for the first time which shocked her followers. While she admitted during the interview that she’d been trying to ‘hide’ behind her social media account, she claims to have learned to love her newfound fame.